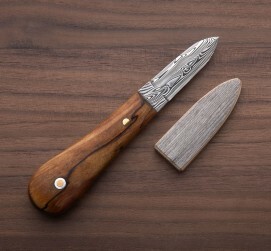 Designed and crafted by Tobbe Lundström, a timeless oyster knife in stainless Damasteel damascus. 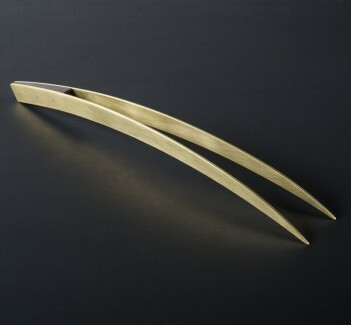 Handmade in Sweden and shaped by Tobbe to make oyster shucking an experience not to be forgotten, the blade slims to a sharp point with perfectly placed bevels that provide strength and geometry to open each shell effortlessly. The beautiful spalted birch handle is wide and at the back for easy grip and twisting motions. 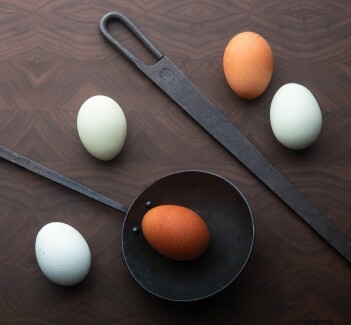 A reclaimed barn siding saya is included. 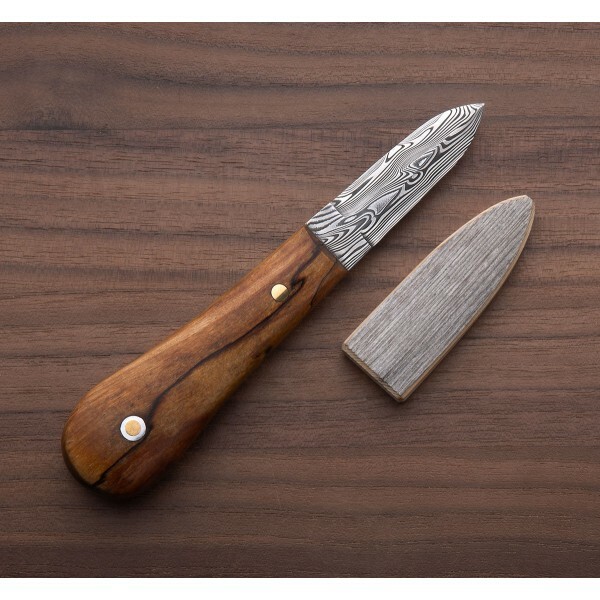 A special, one-of-a-kind oyster shucking tool made in Åre, Sweden by Torbjörn "Tobbe" Lundström, this beautiful oyster knife will make any oyster lover swoon. 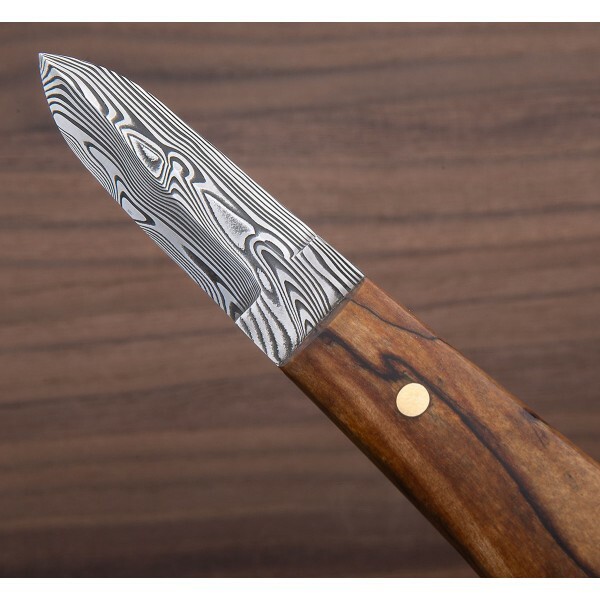 A unique and rare gift for any shellfish lover, the stainless Damasteel blade is not only eye-catching, but easy to care for, and even easier to love. Blade: Stainless damascus Damasteel. Handle Spalted birch with steel & brass pin, and solid brass pin.